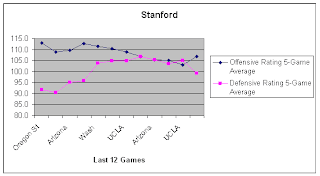 Stanford has done a good job tightening up its offense in the last part of the year and limiting their turnovers, even against UCLA's monster backcourt. I think we're better than Wisconsin. Don't know that we're as good as Louisville, but we would give them a much better game this year. Good luck today!